As befits the reputation of an academic, I’ve only just got to reading ‘Game of Thrones‘ since this summer, a long decade after their publication and two years since HBO began its serialisation. I’m now deep into the third volume, obviously because of the interest in this as a resource for our students, rather than because it has dragons and dwarves. Oh no. At one level, Martin’s books are simply another example of a broader fantasy literature that goes back to Tolkein, albeit one distinguished by its scope and detail (and its Americanised [sic] spellings). On the other, the huge surge of interest in recent years means that it is more likely that students will have actually encountered it, either on screen or in print, thus making it more convenient as a resource (Just as Nina has discussed with Breaking Bad, another recent addition to my own viewing). Interational Relations theorists have already piled into this, from Foreign Affairs to Duck of Minerva. I’m not an IR theorist (nor an IR anything else), so it is pointless (for you) and dull (for me) to say any more than GoT potentially offers a handy way into any number of IR theory discussions. 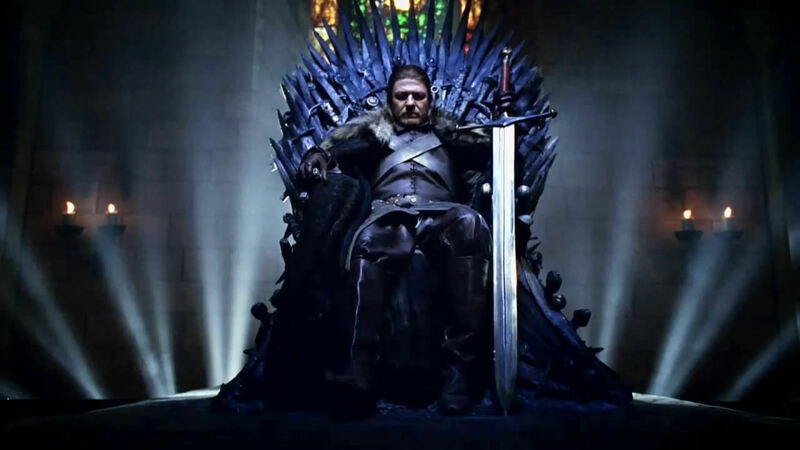 Comparative political scientists have been more cautious – as befits our nature – not least because of the strong conceptualisation of the world of Westeros as pre-statal and semi-anarchical. State institutions and the rule of law are notably more by their absence than anything else. Maybe in one of the later books, someone who’s not been hacked to death will forge a strong and integrated nation-state, but I sorely doubt it. Gender has been a very interesting perspective to consider, as the books totter between tropes (the good wife, the warrior princess, etc.) and more nuanced views of women and their relationship to each other (and to men). My own interest in negotiation is one that is, in contrast, not well served so far. In a system like this, the only alternatives to armed combat are marriage, subterfuge or the threat of force. As a follower in the way of Fisher & Ury, I see no principled negotiation, no real consideration of non-military options, nor of BATNAs. Of course, Martin is telling us a story, so I’d hardly expect him to cleave to such models, especially given the leitmotif (starkmotif, indeed? [in both senses]) of violence and brutality. But in a system characterised by an inability to trust even family members and with the under-current of magical powers that can totally subvert any situation, there is little exploration of this issue. This is all the more surprising, given that a lot of the books have been about managing people and territory. As one character has uttered recently (no, I can’t remember who, or even which book), the two modes are cowing others into submission, or making them love you. Such Weberian charismatic approaches are structurally doomed by their personalisation of power, especially when there’s a man with a sword lurking down the corridor, with murder on his mind. As my reading continues, I’m interested to see how this plays out, but for now I sense that dragons are more likely to triumph than a Fisher & Ury style ‘good agreement’ is to emerge.